We were longtime fans and collectors of pop singer Lesley Gore, and our collection, amassed over more than 30 years, consists of hundreds of items. With her recent passing, we’ve decided that it’s time to part with a lot of it. We’ve been rather surprised to see just how much stuff we have, so it’s taking us a while to go through all of it to see what’s here. Lesley Gore albums – We have a number of rare and unusual Lesley Gore albums, including sealed original LPs, promotional LPs, radio shows, unusual foreign albums and even a few colored vinyl albums. Lesley Gore singles – We have a complete collection of American Lesley Gore singles and picture sleeves, along with a number of interesting foreign releases with picture sleeves. 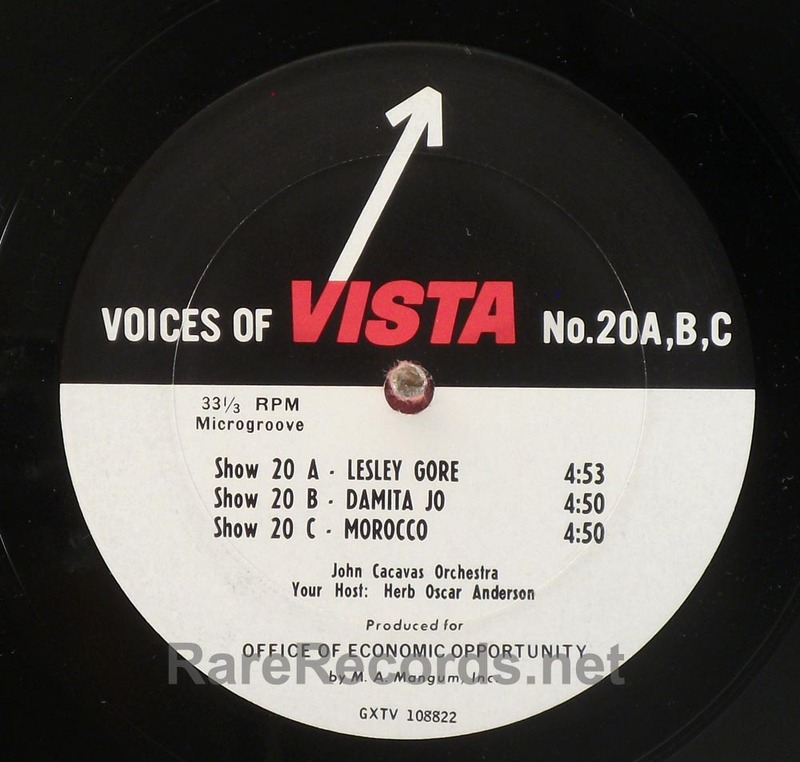 Lesley Gore acetates – Our collection includes a few pre-production Lesley Gore acetates, made to evaluate recordings prior to release. Lesley Gore radio shows – Not recent “flashback” type programs, but vintage radio shows from the 1960s with then-current interviews and music. Lesley Gore autographs – We have a few Lesley Gore autographs, as well, including photos, albums and compact discs. We have way too many items to list them all at once, but we will eventually list the entire collection for sale on our site. 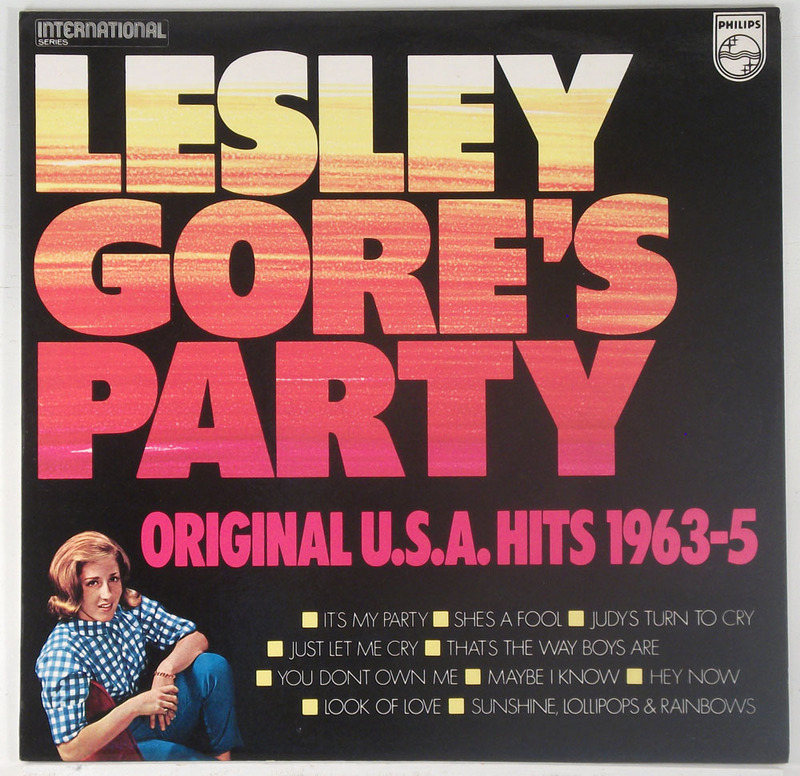 You will be able to find Lesley Gore records and other items in our store. A nice copy of a scarce Lesley Gore LP. Offered for sale is a scarce 12 track compilation LP by Lesley Gore called Attention!, released only in Germany. About this copy: The cover is VG++, with just very slight wear. The record is M- and aside from a couple of spindle marks, appears to have had little play. A nice foreign Lesley Gore oddity. Background: While we can’t date this LP, it was probably released in the late 1970s as the cover indicates that the album was available on cassette, but not on CD. 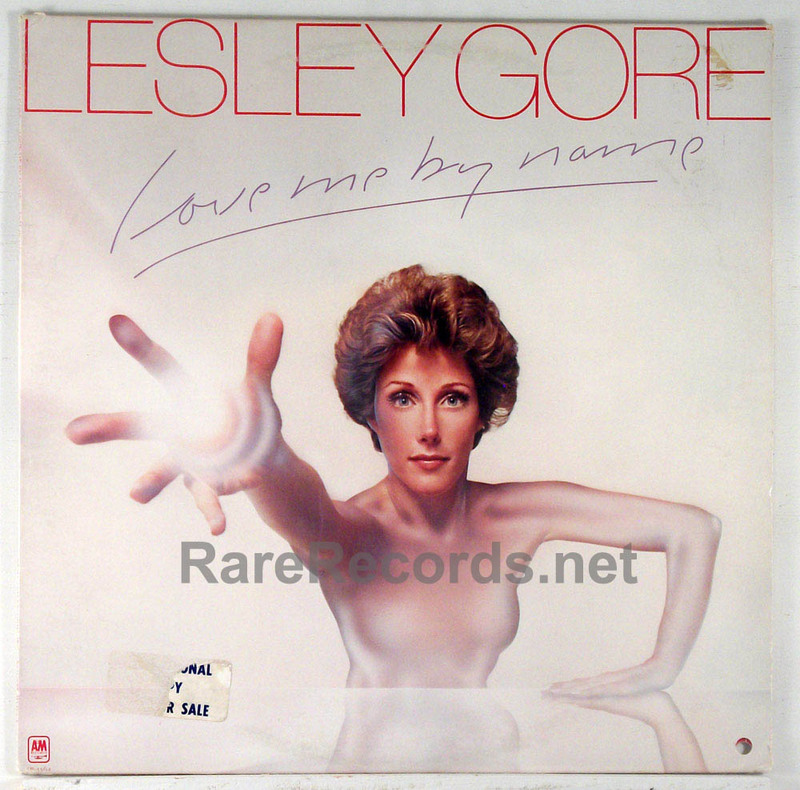 Offered for sale is a white label promotional copy of Lesley Gore’s 1976 LP, Love Me by Name, on A&M Records. There’s a partially torn promotional sticker on the cover and a bit of residue from a price sticker that has been removed. The record is a beautiful VG++, with just a couple of sleeve scuffs. There is glue residue on the labels. The custom inner sleeve is included, but has a couple of split seams. Background: After a four year layoff from the recording business, Lesley Gore returned to former producer Quincy Jones for her 1976 “comeback” LP, Love Me by Name. Despite terrific production and the help of the Brothers Johnson, the album sank without a trace, probably due to the fact that it really didn’t have an obvious hit single. It’s a great-sounding record, though and all of the material was new at the time. The record sold so poorly that most of the copies you see for sale are promotional issues; actual stock copies are quite rare. Offered for sale is a rare 1964 promotional copy of Lesley Gore’s , third LP, Boys, Boys, Boys, prepared for the Armed Forces Radio & Television Service, complete with paper sleeve. About this copy: This LP is in terrific condition; side one is M- and looks to be unplayed. Side two is VG+ with a couple of small marks. This album was originally issued without a cover but instead was sent out in a special AFRTS paper sleeve. That sleeve is not included. A very rare Lesley Gore rarity. This comes from our personal collection. Background: In the early 1960s, record companies occasionally made their titles available to the U.S. government for broadcast on military installations both domestically and abroad. 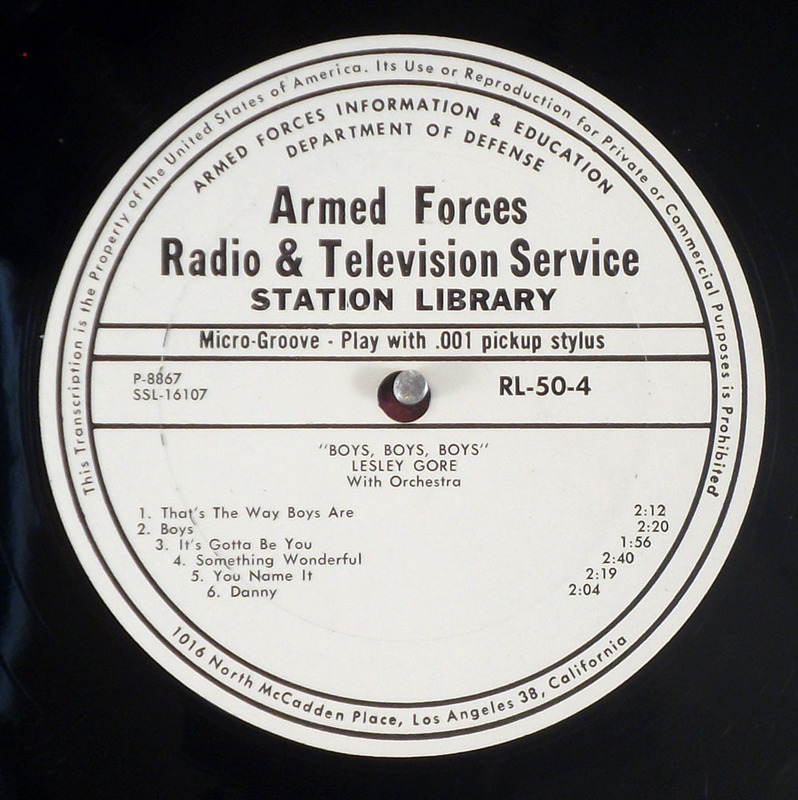 The record offered for sale is a copy of Lesley Gore’s third album, featuring “That’s the Way Boys Are,” and pressed for the Armed Forces Radio & Television Service. This mono pressing contains all 12 tracks from the released album. Offered for sale is a sealed stereo second pressing of the 1965 LP, The Golden Hits of Lesley Gore. 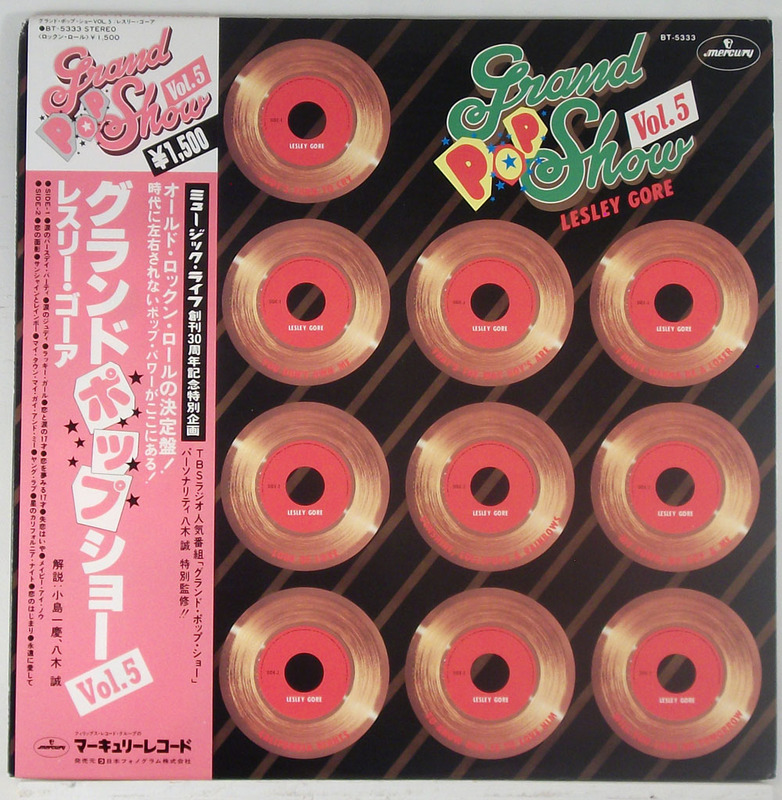 About this copy: The copy of The Golden Hits of Lesley Gore offered for sale is a still sealed second issue of the album, with ten songs instead of the original twelve. The cover has a cut corner and there’s a large tear in the wrap near that corner. The wrap has residue from a price sticker that has been removed. The label variation is unknown, but we believe that this is probably an original red label pressing as it bears the original catalog number. A nice copy of a great collection of songs. Background: After Lesley Gore had a string of hits in the span of just two years, Mercury Records decided to cash in and in 1965, they released The Golden Hits of Lesley Gore. Originally issued with 12 songs, Mercury soon removed two songs from the album in order to reduce their royalty payments and thus increase their profits.